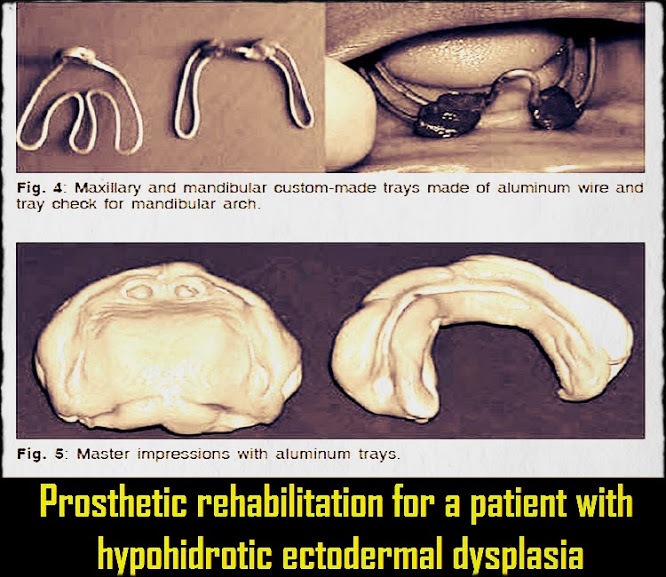 Hypohidrotic ectodermal dysplasia (HED) is a hereditary syndrome, characterized by a classic triad of hypotrichosis, hypodontia and hypohidrosis. The case of an 8-year-old girl with HED presenting oligodontia and marked resorption of maxillary and mandibular alveolar ridges is reported. A specially designed aluminum wire tray was used for taking impressions of both dental arches.